We have offered instant tom yum paste for many years, and it's a favorite item ordered by many customers. 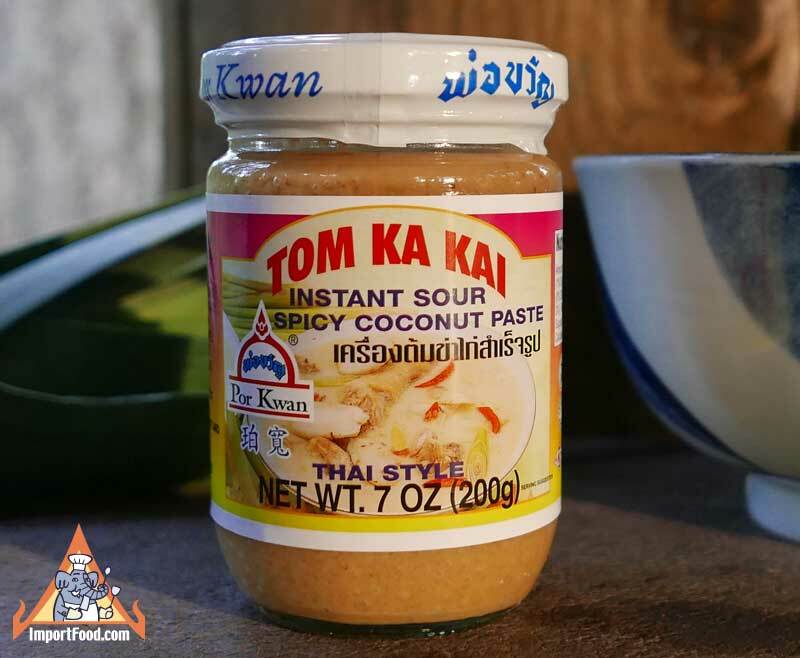 Now we are pleased to offer instant Tom Kha paste. Use this to make a quick and delicious Tom Kha soup. All you need is to add water, and your own chicken & fresh mushrooms. NEW: We recently introduced a superior Tom Kha soup in pouches, Amazing Elephant Brand. See more details here. Packed in a vacuum-sealed container. Ingredients: coconut milk, sugar, salt, galangal, shallot, lemongrass, garlic, non-dairy creamer, msg, soy sauce, citric acid, modified corn starch, chile, kaffir lime leaves, sodium metabisulfite. Product of Thailand.